rokBrothers Blog: No More Europa League? UEFA president Michel Platini has hinted that the Champions League and Europa League could face some major changes in the not too distant future. The concept of the Europa League has come under fire in recent years as clubs from the so-called bigger leagues often field their reserves, and a number of recent reports have suggested that the competition could disappear completely, while the Champions League could be extended to 64 teams. 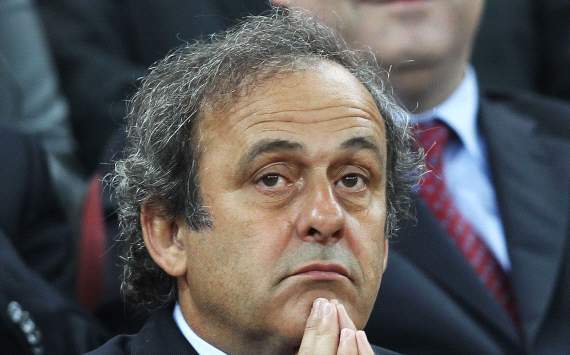 Platini had previously revealed that UEFA is looking into reforming both competitions, and he has now made it clear that a decision will be made in 2014. "It is something that we are discussing," Platini told Ouest-France when questioned on the subject of shutting down the Europa League in favor of a 64-team Champions League. "There's an ongoing debate about the concept of the European competitions between 2015 and 2018. It's being discussed and a final decision will be made in 2014. Nothing has been finalized yet." Platini also took the time to discuss the possibility of a European superleague organized outside of UEFA, and stressed that he' was not too worried about the idea. "This is a matter that regularly comes up, but it does not worry me to be honest. I can't see how it would work outside the framework of UEFA," Platini said. He added, "Who would referee the games? Where would the games be played? Do a lot of people really want it? I don't think so."